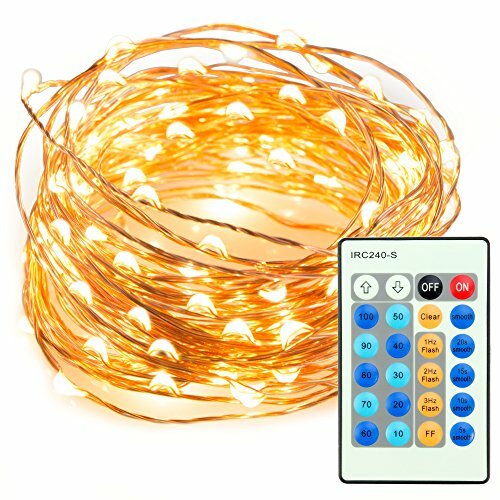 TaoTronics TT-SL036 33ft 100 LED String Lights Dimmable with Remote Control, Waterproof Decorative Lights for Bedroom, Patio, Garden, Gate, Yard, Parties, Wedding. UL588 and TUVus Approved(Warm White) by TaoTronics at EOS Lighting LLC. MPN: TT-SL036. Hurry! Limited time offer. Offer valid only while supplies last. The LED String Light TT-SL036 is a functionally versatile, can illuminate your room, creating ambience and mood with a flip of a switch.